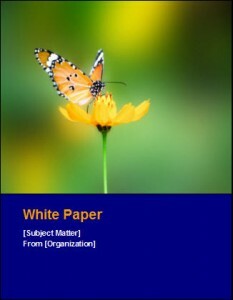 White Papers: Is there enough interest to justify writing it? Before you start writing your next white paper, use this checklist to see if there is sufficient interest in the topic. How do you know there is enough interest in your white paper to justify writing it? Writing a white paper takes between five to twenty days. Before starting the writing project, we should check if there is sufficient interest in the subject matter to justify this investment. After all, there’s no point writing something unless others are going to write it. How can we avoid this? Who do you want to read your white paper? Are customers researching this area? Let’s assume Yes. Where are we going to look to determine this and avoid our gut feeling that someone will want to read it? How can we be sure our research is correct and we’re not playing with the numbers to flatter ourselves? Google suggested search – when you search for something, Google suggests other related terms at the end of the page. Look at these. Google Adwords – are people buying keywords on this term? If they are, that’s a good sign. Google Trends – See any trends that apply to what you’re writing? Filter by region, language, and date. If the arrow is shooting up, we could be in luck. If not, you could be writing for a dying market. Competitors – have they written any white papers about this area recently? If not, why? If so, what’s their angle. Capture this in a spreadsheet for reference later. Search by date and location – learn to use the power commands on Google for searching. This helps you refine your search. Note, there are filters you can use on the command bar. Twitter – use the Search feature to perform advanced searches. Also search by hashtag. Use variations of the keywords. Join lists related to the topic, ask questions, see what others share. What issues keep repeating? Again, add these to the spreadsheet. Don’t take it for granted the people will read your white paper. The web is already cluttered with PDFs on thousands of topics. Even if the quality is excellent, you may be wasting your time if the interest in your topic is not there. Think about this before you start. One final suggestion. Look for a unique angle, a different slant, an alternative way to discuss the topic. Sometimes, a familiar subject, presented in a new way stands out from the crowd.